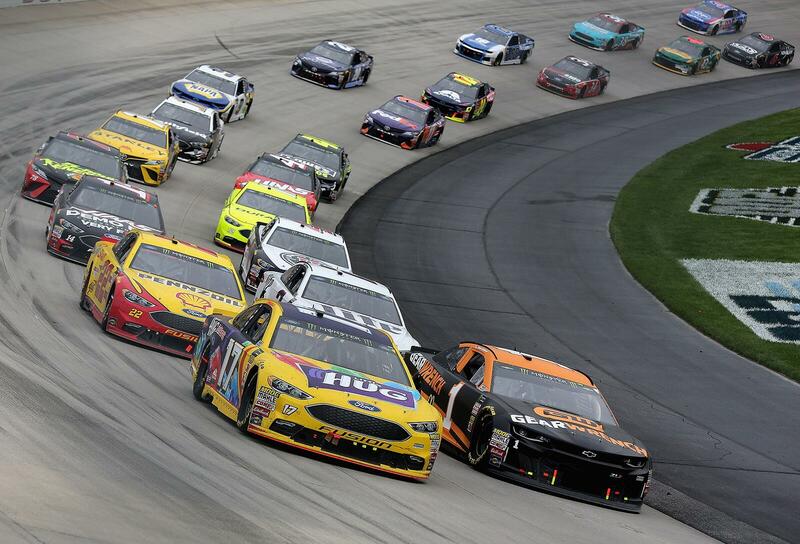 Photo: Courtesy of Dover International Speedway. Jim Hosfelt is the Director of Public Safety and Track Operations for Dover International Speedway. Prior to using 24/7 Software, Dover International Speedway had no processes or software in place for incident management that all operational disciplines could use during events. After 26 years in law enforcement, Jim was determined to find a software solution that Dover International Speedway could benefit from across all track operations. Jim needed a solution that would help his staff manage, track, and communicate issues and incidents. In 2015, Dover International Speedway discovered solace during their implementation of 24/7 Software. After deployment of 24/7 Software’s platform, Dover International Speedway had a solution that allowed operations to manage 1,000+ staff with ease, unite five departments into one platform, and ensure 100% of incidents and issues are responded to every event. 24/7 Software affords Dover International Speedway the ability to employ Proactive Operations while making them feel a part of a family. Dover International Speedway (formerly Dover Downs International Speedway) is a race track in Dover, Delaware, United States. Since opening in 1969, it has held at least two NASCAR races each year. In addition to NASCAR, the track also hosted USAC and the Verizon IndyCar Series. The track features one layout, a 1 mile (1.6 km) concrete oval, with 24° banking in the turns and 9° banking on the straights. Eager to take on his new role of Director of Public Safety and Track Operations for Dover International Speedway, Jim wanted to draw from his 26 years in law enforcement. He sought to make an immediate positive impact. Jim identified one critical opportunity for Dover International Speedway. There was no incident management in place. Unified processes and software just did not exist for the speedway. No one was on the same page, and incidents and issues were not efficiently and effectively managed. “After joining Dover International Speedway following 26 years in law enforcement, this was the first thing I noticed while managing the Joint Operations Center (JOC),” said Jim. This lack of synergy between disciplines caused confusion and an inability to manage operations proactively. Not having a system in place provided significant challenges, both during and following each event. “It was clear we needed to move in a direction which allowed us to manage the public safety needs of our NASCAR events and the Firefly Music Festival,” Jim further explained. Jim’s search for a solution in 2015 had requirements. He knew he needed a progressive software solution that would stand the test of time and advance with his operation. There were two crucial (and non-negotiable) features. “I wanted an incident management system that tracked issues and complaints during and after the events,” shared Jim. “It also needed to be web-based, and most importantly, had to be user-friendly,” Jim stated. Jim discovered he wouldn’t have to wait long to see the software solution he would end up deploying at Dover International Speedway. “In 2015, I met Scott Meyers at the NASCAR Summit in Charlotte, North Carolina. Scott demonstrated 24/7 Software, and after a few minutes, he even had me entering incidents into the platform. He also allowed me to work with the system to see its other many uses,” revealed Jim. Jim shared that Dover International Speedway’s deployment of 24/7 Software is not over either. He plans to leverage all modules of the platform. The CMMS (Computerized Maintenance Management System) module is next on Jim’s list for Dover International Speedway as it relates to further implementation of 24/7 Software. While Jim did share that the racetrack is not quite ready for CMMS implementation, he considers this a priority for application in the future. Dover International Speedway fully leverages the benefits of 24/7 Software’s platform. But, one thing Jim boasted the most about 24/7 Software had nothing to do with the software. “It’s not uncommon to receive an email from support in advance of our events just wanting to check in and make sure everything is ready,” Jim said. “During the event we can call with any issue, large or small, and it’s taken care of instantly,” he continued. When asked what benefits Dover International Speedway has experienced from working with 24/7 Software, Jim’s answer was one that focused on family-like, collective effort. He revealed how the software helped create unity across his organization, but also how that sense of family overlaps into Dover International Speedway’s relationship with 24/7 Software. “I feel like we are part of the family,” answered Jim. “It’s a first name basis with everyone, and we’re always included in the best management practice sessions at User Conference, even though we’re one of the smaller users of the system – as compared to properties that host year-round events,” he continued. Jim further explained how the family effort realized with 24/7 Software continues to develop regularly at Dover International Speedway. He and his staff can bring all department information together in their management, reporting, and communication of everything occurring throughout the property. “Prior to implementing 24/7 Software, each of our five departments (e.g., Security, EMS, Operations, Traffic, and Maintenance) at the speedway loosely tracked their problems and issues independently during NASCAR weekends and Firefly Music Festival, making it impossible to follow up after the event to prevent future problems,” said Jim. A single dispatcher can adequately log, track, and dispatch appropriate resources to all incidents reported to the Joint Operations Center. Dover International Speedway works diligently to ensure they continue to respond to 100% of occurrences. They strengthen their efforts using reporting and analytics provided in 24/7 Software’s platform. The reports give Jim real-time insight into how his operation is performing during and after events. Then, his staff can make the necessary improvements and optimizations, often in real time. “Using the Event Summary report has allowed staff members to develop reports specific to information needed and shared each day during command briefings,” shared Jim.